World Bank pricing carbon: real solution to climate change? World Bank’s climate change crusade: rhetoric or reality? As the 21st conference of parties (COP) of the UN Framework Convention on Climate Change (UNFCCC) in Paris approaches in December, the World Bank has continued its efforts to boost its influence within climate finance circles, including through a call to “decarbonise development”. According to UNFCCC executive secretary Christiana Figueres, prior to COP donors are expected to outline their funding proposals for developed countries to contribute to the goal of delivering $100 billion a year of climate funds to developing countries by 2020 during the World Bank and IMF’s annual meetings in Lima, Peru, in October. Meanwhile the Bank’s continued support for fossil fuels remains controversial (see Observer Spring 2014). In June the six largest multilateral development banks (MDBs), including the World Bank Group, released their latest joint report on their climate finance commitments. According to the report, the MDBs jointly committed $28 billion toward climate change mitigation and adaptation initiatives in 2014, an increase of 19 per cent on the previous year. The Bank increased its climate finance commitments by 37 per cent to $9.2 billion, while those of the Bank’s private sector arm, the International Finance Corporation (IFC), dropped by four per cent to $2.5 billion. The majority of MDB funding went to climate change mitigation finance, with only 18 per cent going to climate change adaptation, often considered particularly important for developing countries to reduce their vulnerability to the impacts of climate change (see Update 83). Furthermore, the report noted that 83 per cent of total funding was made through loans, while only nine per cent represented grants. The remainder included equity, guarantees and other forms of financing. For the Bank 76 per cent were loans and 16 per cent grants. Despite the Bank’s climate change focus it increased its fossil fuel investments in the past year. An April report by US-based NGO Oil Change International revealed that over a third of the Bank’s finance for energy in 2014 went to fossil fuels, an increase on the previous year, while finance for clean energy received less than a fifth (see Bulletin May 2014). The remainder included funding for large-scale hydro. Moreover, in sharp contrast to Bank president Jim Yong Kim’s January call for long-term investors to “recognise their fiduciary responsibility” and screen for climate risk, in May news agency Reuters revealed that around 40 per cent of the equity holdings in the Bank’s $18.8 billion pension fund are invested in equity index funds, which include companies in industries associated with environmental and health problems, such as coal and tobacco. Potential Bank funding for a 600 MW coal power plant in Kosovo also continues to raise both local and international concerns (see Update 86, 82). Furthermore, according to a 2014 World Resources Institute study, 75 per cent of World Bank projects do not incorporate assessments related to climate change risks into their design, while 88 per cent of the projects do not assess greenhouse gas emissions from project activities, relative to a baseline. More recently the Bank has been criticised for removing a “threshold” for greenhouse gas accounting from the mandatory part in the latest draft of the proposed social and environmental framework (see Observer Autumn 2015). The Bank’s support to the fossil fuel industry also continues. In July 2014 the Bank approved additional financing to support the development of Ghana’s oil and gas reserves, bringing its support to $57.8 million. A year later $700 million was approved in investment guarantees for a Ghana offshore gas project. 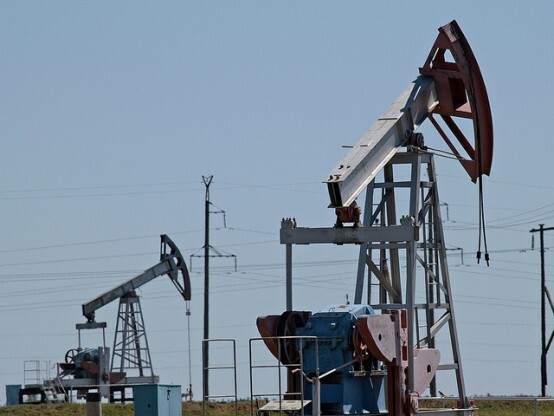 In July this year the Bank board approved a $50 million IFC equity investment in Africa Oil for oil and gas exploration and appraisal activities in Kenya, despite the US having voted “no” to the investment. The US stated that it was “troubled by the IFC’s lack of disclosure to the board of key documentation … which is all the more troubling given the project’s potential … for significant impacts on critical habitats and marginalised communities.” It also disputed the IFC’s observation that “aspects of Africa Oil’s other exploration activities, which may similarly be in critical habitats or land claimed by marginalised communities, fall outside of the scope of the IFC’s proposed investment”, and called on the IFC to “promptly provide the board notice of any adverse environmental and social impacts stemming from Africa Oil’s operations.” Furthermore, the US questioned the financial additionality of the investment given that Africa Oil “is publicly listed on two separate stock exchanges, with a market capitalisation of nearly $800 million”.